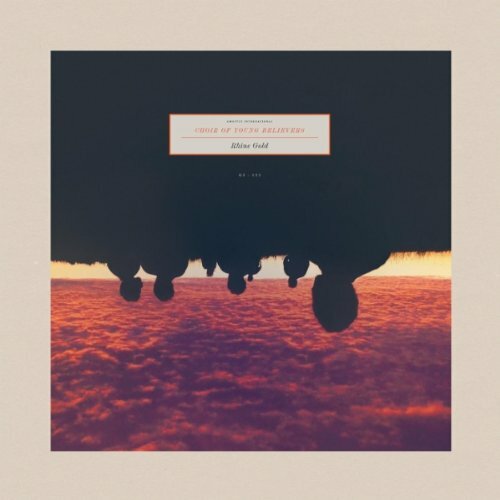 Choir of Young Believers, the Danish ensemble driven by vocalist, writer and instrumentalist Jannis Noya Makrigiannis and his band of merry on-and-off accompaniments, is pretty much the definition of new age experimentalism. Described as “avant pop”, the band was widely acclaimed in its home country for its unique combination of various genres including folk and orchestral instrumentals, before receiving recognition in North America after an appearance at SXSW in 2009. With its sophomore offering, Rhine Gold, what is essentially a one-man band sure does manage to cover a surprising amount ground, musically speaking. From 80s-synth pop to acoustic crooning to melodic musings set to the cello — call Makrigiannis a jack-of-all-trades, because this album has it all. Such a brazen amalgamation of musical genres certainly runs the risk of creating nothing but an enormous mess. In some ways, this is true of Rhine Gold — moving from one track to the next might as well be a trip across the globe, and the marathon tracks featured on this album (Paralyze clocks in at over 10 minutes), could easily be mistaken for several different songs instead of just one. Makrigiannis is truly everywhere with this collection of tracks, a true display of some serious commitment issues. And yet, the erraticism is taken to such an extreme that it almost ceases to have an effect altogether. The inconsistencies stop being jarring, and instead become the very thing that unify the album — you come to expect the unexpected. That doesn’t stop the album, with its many twists and turns, from being just plain weird at its core. Perhaps the experience of listening to Rhine Gold can best be analogized to that of viewing modern art. There’s pressure to like it and understand it, because it’s a new, hip thing (imported from Europe to boot), and consequently stands to be a benchmark of being captial-C-cultured. And while you might find it agreeable enough when you finally give it a whirl, a part of you is always left scratching your head, wondering who ever decided that being cultured really just meant being kind of strange. 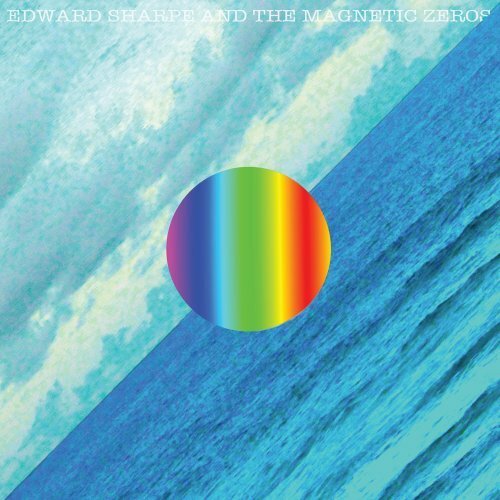 Edward Sharpe and the Magnetic Zeros might well be one of the few outstanding contemporary examples of pure and enjoyable, feel-good, family friendly music that makes the tenuous journey all the way to the ears of mainstream listeners and back again with applaudable unpretentious, and resounding gusto. Their hopeful tone and charm-the-pants off you positivity are not up for debate even among the coldest of critics, but now, with their forthcoming release of the commonly ill-cited sophomore album, the band is sure to face a wide variety of praise and criticism. Perhaps what I’m really starting to appreciate about this eclectic band of seemingly nomadic musicians though, is the sense you get from them that they really couldn’t give less of a damn. If you haven’t heard the grass-root gossip surrounding ES&MZ’ mysterious messianic premise, it is surely worth the moment it takes me to surmise it. As the story goes: Alexander Ebert, the front man for L.A. progressive rock band Ima Robot, put his selfish, nay-saying, bratt-itude to rest along with excessive hollywood parties, and a considerable heroin addiction. But I shouldn’t have to tell you that it wasn’t easy. Ebert’s breakthrough occurred in the wake of a hazy period marked by several soul searching stints of rehab, a breakup with his long time girlfriend, and roughly a year on the floor of a cheap room with only a blow up mattress. If that isn’t fodder for genuine art then I don’t know what is. Amidst all this, Alexander began writing a story about a messiah-like character named Edward Sharpe that ‘came to earth to kinda heal and save mankind… but he kept getting distracted by girls and falling in love.‘ It should come as no surprise that when Ebert saw Jade Castrinos sitting on a bench, he immediately knew he wanted to have a relationship with her, and when he effectively got distracted and fell in love, they decided to start an Indy-folk collective to take his Edward Sharpe premise to the next level. ES&MZ’ premiere 2009 EP, Up From Below, found success on multiple avenues, and after the bands warm-hearted Americana single “Home” rapidly caught fire taking summer radio hostage with a whistle solo and an impossibly likable music video, Edward Sharp and the Magnetic Zero’s earned a “household name” status very early on. The band toured ferociously earning renowned street credit for the energy and vigor of their performances, which is largely a reason for their loyal following. But after the estrangement of Alex and Jade’s relationship, and some rocky tours overseas, the future of the band seemed questionable. The jangling gang of ragtag collaborators took a break, and Alexander quietly released a solo album that was met with considerable praise. Now, fresh from a healthy break, ES&MZ are back once again to grace our ears with their second album Here. Though Here suffers from a polarized flow from beginning to end, there is a strong handful of tracks that stand up to some of the most defining musical moments in Up From Below, which is no small feat. In the very first track, “Man On Fire,” Ebert comes out strong proclaiming his true desire to dance with the ‘whole damn world,’ and among the spirited yelps and warm choruses, you pretty much know he’s got another hit on his hands. “Man On Fire” is a bit more reminiscent of the sound on Up From Below, but when Jade takes center stage for the dangerously catchy tunes “Thats Whats Up,” and “I Don’t Wanna Pray,” it becomes apparent that the whole band has really gained some momentum in their time off, and that they are all cultivating a sound together. These two songs really explore a direction of upbeat stomp and clap Mississippi gospel which might very well be a style that ES&MZ highlights more of in upcoming work. The fourth track, “Mayla” is the beautiful kind of hippy swaying song you might expect off of a Beatles album, and surprisingly, it marks the first prominent appearance of a horn. The next few songs are a bit more meditative, and though they give the album a wholesome consistency, they create a discernible lull that departs from the spirit and energy that the earlier tracks built toward. Though I can appreciate a conscious effort to not focus on Ebert as the sole member of the band, much of the lyrical imagery he commands is unfortunately diluted from the over abundance of harmony and the effects of the hymnal style that only prove effective in moderation, or contrast. “Fiya Wata” leads to a strong finish on Here by emphasizing Jane’s powerful vocal abilities and souping up the bands timeless sound by combining their saloon style piano jingles with a host of meandering classical guitar riffs and a heavy set percussion timing that recalls an epic Skynard ballad. All and all, Here is an album that truly carries a tone of reconciliation, which to hordes of faithful followers often referred to as “ED-heads,” is great news. This sense of resolution is grandiose in its pertinence to the literal sound they create, as well as in the prospects of evoking a spiritual sense of awareness to listeners. This surely didn’t happen on accident, but in a society with an increasingly tolerant social attitude, it seems comical to me that ES&MZ might actually be taking some new and unique risks in their overtly pro-religion stance. However you feel about Edward Sharpe and the Magnetic Zeros, or their recent release of Here, you’ve got to admire their new found sense of ambition. Wait, I forgot to tell you? Oh yeah, Here is one of two albums slated to be released this year. Hopefully that will be enough to keep fans happy while they finish the twelve-part rock opera they are working on, we’ll have to see. 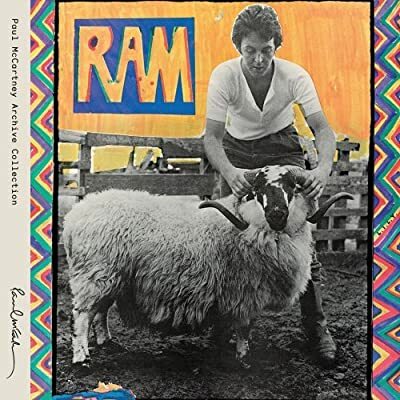 Paul McCartney re-released Ram this past week. This is a different experience in review terms, because this album is far from being some aural experience presented by some hungry up and coming musical act. This is one of the first albums Paul created after the Beatles split. It is definitely of the era in which it was produced, in terms of songwriting and production, and in general it would appear that it has aged well. Vilified by most of the Beatles and a chunk of the musical press at the time of its release, it has persisted for the last thirty-something years; digging into the music presented reveals the McCartney trademarks along with very interesting experiments in producing and arranging. The McCartney trademarks- hooks, very hummable vocal lines, and a quaintly ‘old-fashioned’ approach to tunesmithing -were always present in the Beatles; it wasn’t until McCartney got out on his own that his abilities come into their own. John Lennon’s own personality plus the mystique of the Beatles demanded equal attention. All the same, his debt to the blues is apparent in many places, such as on ‘Smile Away’. Coming after ‘Uncle Albert/ Admiral Halsey’ joins with the former to encapsulate Paul McCartney’s entire career in summary. In discussing this album with some friends, there were those whose opinion of Linda McCartney was not so flattering. It was felt that her presence on the album is distracting. For me personally, her presence on this recording is so slight as to be practically non-existent. It would seem that people let their perception of history influence their perception of this music. Having some sense of history is important, of course, but in the end, all of that information only amounts to a collection of facts related through circumstance. While the songwriting is generally good, and the album generally engaging, there are moments that test patience levels to a degree. The vocals on ‘Monkberry Moon Delight’ fall into that category. While it sounds like the desire was to evoke a mood of sarcasm, the end result is a little amateurish; the tune itself isn’t the most profound, so the sense of loss is minimal.